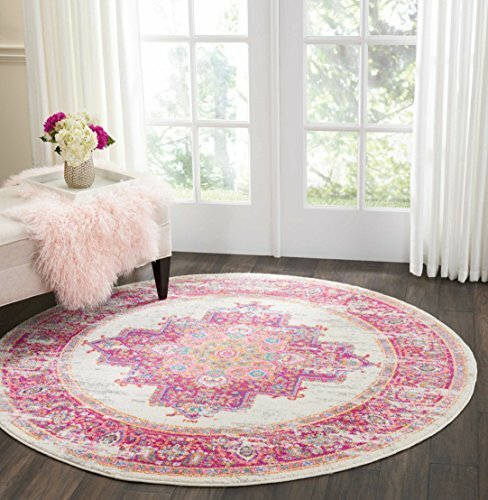 Elegance takes center stage with this gorgeous center medallion area rug in the Passion Collection. A true statement piece, it combines exciting color with the formal balance and subtle patination of an antique Persian textile. Truly eye-stopping in glorious fuchsia, rose and blue on a regal "faux-faded" ivory ground. Ornate fuchsia and Orange border and Medallion design on Cream field. Easy spot cleaning and maintenance. If you have any questions about this product by Nourison, contact us by completing and submitting the form below. If you are looking for a specif part number, please include it with your message.